If it’s a major global sports event, there is a pretty good chance NHK is on hand with an 8K production team. 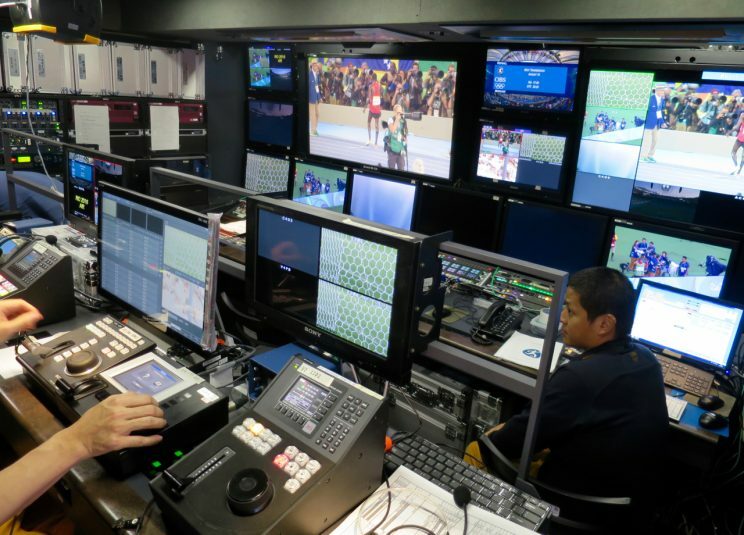 This was true at the 2016 Rio Olympics, with a couple of exciting developments: the Japanese broadcaster had two 8K production teams and four production vehicles, two for video and two for audio. 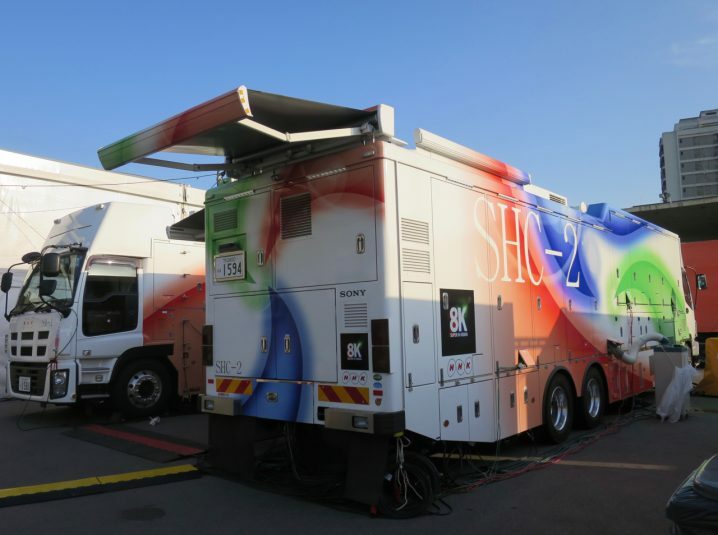 NHK had two 8K production teams at the Rio Olympics. The two trucks provided a lot of 8K coverage: the Opening and Closing Ceremonies, basketball, judo, athletics, swimming, and football. The content was delivered as part of a test of 8K satellite broadcasting, with the Ceremonies and portions of athletics and swimming broadcast live in Japan. The 8K production efforts also played a part in serving the needs of 4K viewers: all the 8K content was downconverted to 4K/5.1-channel surround sound and made available the next day by OBS as a 4K service to broadcasters. The audio truck brought the biggest improvement to the operations. Previously, it was difficult to have an onsite audio-production facility truly designed for 8K’s unique 22.2-channel–audio mixing needs. Both the onsite audio units have 78-in. projection screens with permeable screens so the audio signals from the KS Digital audio monitors can be easily heard and adjusted by the mixer. One of the trucks has a Lawo mc²66 console; the other, a console from Japanese manufacturer Tamura. The latter has a custom meter bridge that is low enough to not block the speakers located below the screen. 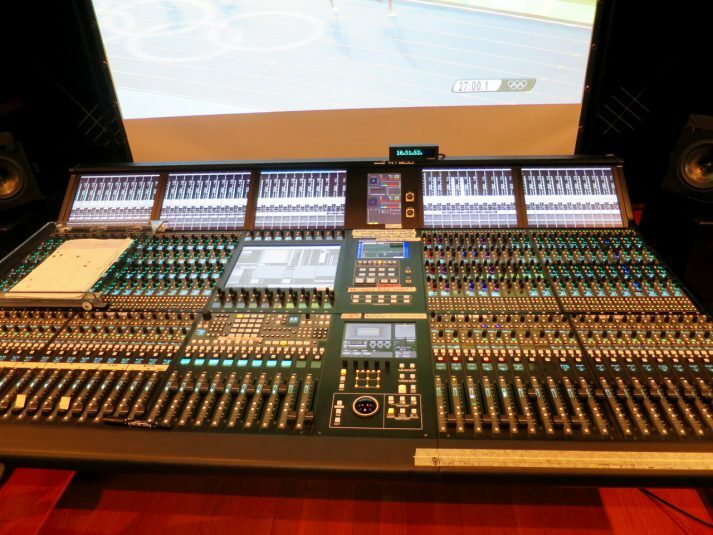 A Tamura 900 audio console is in one of NHK’s two 8K audio trucks. OBS provided NHK with all the available audio signals for a venue, and then NHK adds in another 40-60 channels of its own microphones (including the camera mics). One innovation was “microphone trees” that include different types of microphones, such as omni, cardioid, hyper cardioid, and shotgun. Each tree has eight to 12 microphones arrayed in two or three layers, and three or four of those trees are placed in the venue in various locations. Two NHK crews worked on the productions, one with 23 people and the other with 25. In addition, a four-person ENG crew gathered material around Rio, and a 12-person crew at the IBC technical operations center handled quality control and other transmission to Tokyo. Riedel’s MediorNet also played a role in the production. The big question with 8K is how much data it takes to route the signals. It is still a tremendous amount of bandwidth, but progress is being made. The un-compressed video signal for each production, for example, was sent from the venues to the IBC via 24-Gbps Dense Wavelength Division Multiplexing (DWDM). And then there is getting the signal to Tokyo and out to viewers. Redundant 280-Mbps signals were sent via fiber (one through Russia, the other via the Pacific Ocean) to NHK in Tokyo and then from there to six locations with a public viewing theater. And all the 8K content was also available via over-the-air TV broadcasts by NHK local stations.